The barbecue sauce that started it all for Rod Gray. 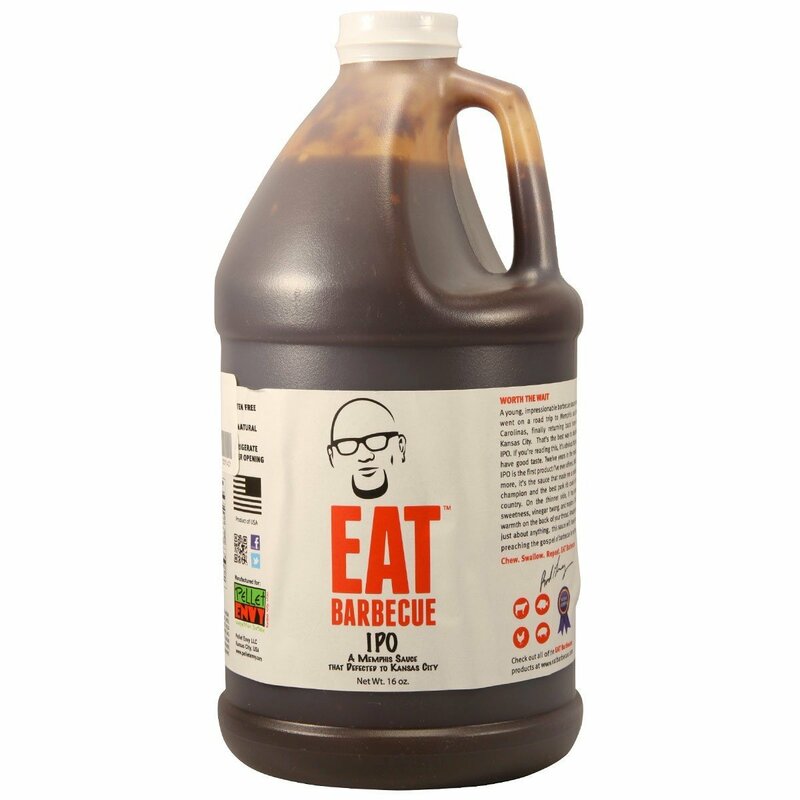 EAT BARBECUE IPO is the BBQ sauce that made Rod a national champion and the country's best pork rib cook. IPO was the first sauce that was released on the market and is now an award-winning, competition sauce. You go Rod, you go. EAT BARBECUE IPO is sweet, has a vinegar twang and a little heat. IPO is amazing on just about anything, pork, chicken, fish, anything you like the taste of greatness on. This all-natural sauce comes in a 1/2 gallon because after the first taste, a few ounces won't be enough. You'll just want more and more, never will you want to cook without it again. IPO taste like greatness, but when combined with EAT BARBECUE rubs, IPO is unstoppable.